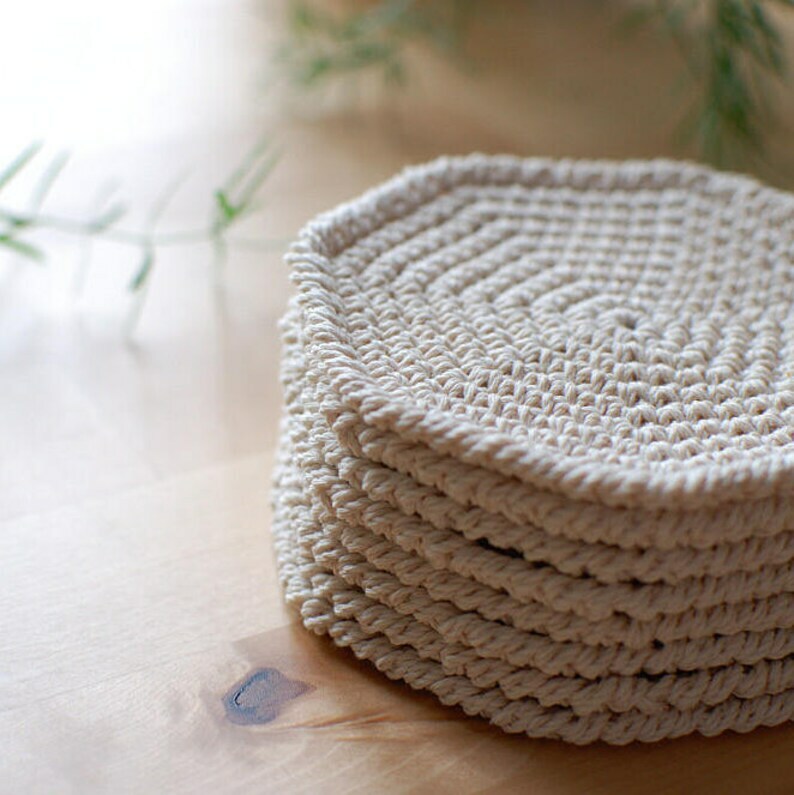 Coasters are hand crocheted of thin cotton rope. 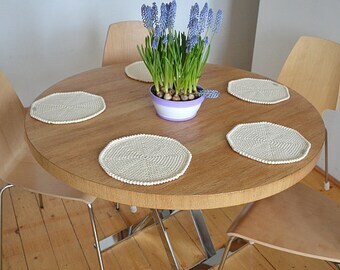 Natural cotton colour will fit in any interior. 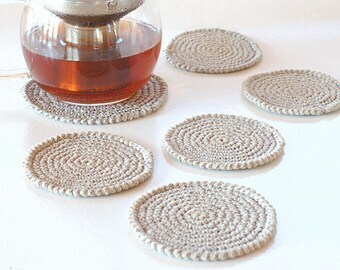 You can choose set of 2, 4, or 6 small cup coasters. Diameter of the cup coasters approximately 11cm / 4,5 inches. 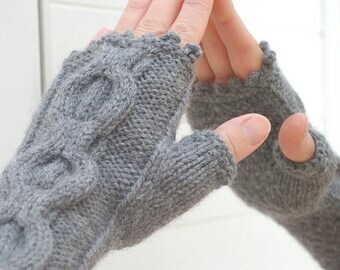 If you need other sizes, or bigger sets please, contact me! I will be glad to make accents especially for your home.